The Department of Trade and Industry (DTI) opened the 7th Negosyo Center in Bataan to strengthen micro-small and medium entrepreneurship as well as travel and tourism industry in the province. The center was opened in the town of Pilar, where the Dambana ng Kagitingan and the historic Mount Samat are located. 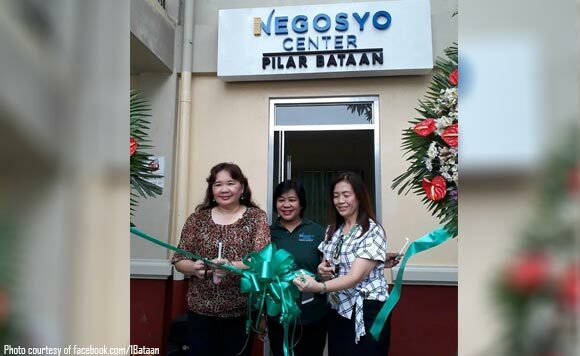 According to Judith Angeles, DTI regional director for Central Luzon, the Negosyo Center in Pilar is the 61st of its kind in the region’s seven provinces. She said the center would serve as an effective and efficient business and technical consultancy hub in this third-class municipality and agricultural town. DTI’s Negosyo Center aims to promote “ease of doing business and facilitating access to services for Micro, Small, and Medium Enterprises (MSMEs) within its jurisdiction”. It would also offer assistance on business application and information on organizational set-up, requirement for business taxes, fees and other levies, marketing strategy, product development and other livelihood trainings for MSMEs. With the new Center, the DTI is hopeful that socioeconomic progress will also reach the fringes of the province, like communities along the periphery of Mount Samat National Shrine in the upland village of Liyang and the stretch of Governor Linao National Road. They are also gateways to the province’s coastal towns of Bagac and Morong, which are popular vacation spots in Central Luzon among local and foreign tourists.